Many people use external displays with their Mac, either to mirror their display to a larger screen, or to expand their screen area for additional productivity. As good as this sounds, sometimes problems can occur with external display that will require attention to get fixed. 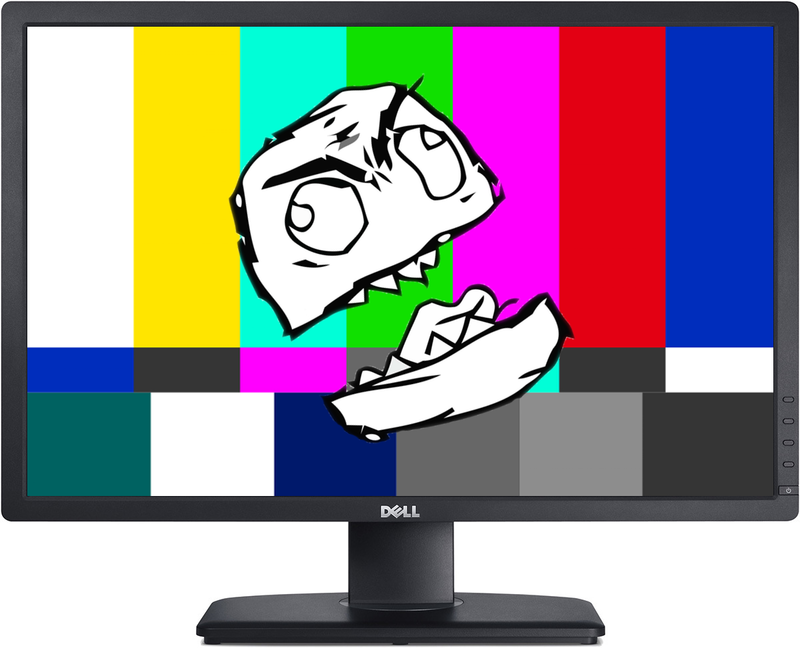 In this piece, we’ll go over various things that could go wrong with an external display, as well as some potential troubleshooting steps to fix the problem. External displays, whether you bought one of Apple’s rather pricey options, or you went with a third-party brand like Dell, are subject to potential issues. Although Apple does its best to make things plug-and-play, other manufacturers tend to have very different standards, and this means you may have to troubleshoot issues or take extra steps to configure a display to work properly with your Mac. 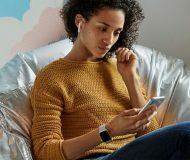 Even if your display isn’t new, you may have nudged a configuration button by mistake, which could cause all kinds of issues with the its performance. If it wasn’t you that tapped the button, and it happened while you weren’t even home because one of your kids was toying around, or someone else who used the computer changed the settings, then this makes it even more difficult to figure out what’s going on. With a gist of some of the things that could have gone wrong, do any of these sound familiar to you? If so, follow along as we talk about some potential fixes to these issues. Is the display supported? For many 4K displays, you need to be using a Mac with a graphics card powerful enough to push that many pixels. The general rule of thumb is that most modern Macs manufactured after 2013 will support such a high resolution (but not all of them). Apple has an online support document that lists all of the Macs that are compatible with 4K displays. Is your brightness turned all the way down? I’m guilty of this myself – one time while watching a movie in my living room, I used my MacBook Pro as a video source to my HDTV, and I turned the brightness all the way down on my MacBook Pro to direct all attention to the TV. I thought my MacBook Pro’s display was borked when I disconnected the cable because the display stayed black. Silly me – I just forgot to turn the brightness back up. This can happen with external displays too, so check your external display’s brightness level by pressing Control + F2 on your keyboard. Check the power plug on the external display: Hey, things happen! If you live where Earthquakes are common, or you have rambunctious kids running around all the time, plugs are destined to work their way out of their sockets. Check to make sure that the external displays plug hasn’t come loose, or that it’s plugged in at all. Attach your Mac notebook’s power adapter: Some Apple notebooks don’t have enough juice to push the extra pixels of an external display. 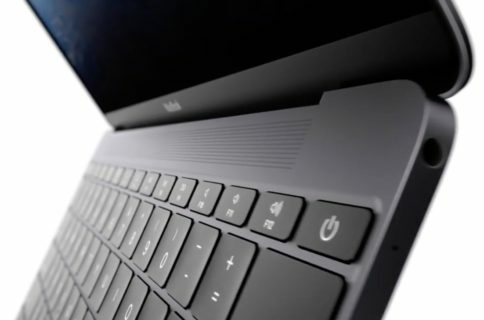 One of the things Apple recommends you try if you are using an Apple notebook, such as a MacBook, MacBook Air, or MacBook Pro is to connect the power adapter to give it additional power. Re-seat your video connections: Eliminate the possibility of a loose display connection by unplugging your display cables and plugging them back in properly. A loose connection will keep a proper electrical connection from occurring and can cause issues with your external display. Are you using the right port? This doesn’t apply to most Macs, but the late 2013 Mac Pro can be relatively picky. Make sure your display(s) are plugged in to the correct port(s). Avoid video adapter chains: Apple notes that chaining two incompatible video adapters together to make your Mac compatible with one or multiple external displays can actually cause issues; as an example, you cannot connect a Mini DisplayPort to DVI adapter to a DVI to HDMI adapter and expect a picture, as it simply won’t work. If possible, remove one of the adapters and avoid chaining them together. Does the display work with other connections? Try using another computer or another video source and see if the display works with that video connection. If it doesn’t, then the problem could be related to the display itself, and not your Mac. Is your video cable bad? Those cheap $0.99 HDMI Ebay specials are great on the wallet, but they tend to be rather short on life. Try using a known good video cable and see if the problem persists. Often times, the video cable connecting the external display to your Mac just needs to be replaced. Problems with display resolution will cause problems with your picture. With resolution issues, your picture may look blurry, or scaled incorrectly. Typically when you plug an external display in to your Mac for mirroring, your Mac will automatically adjust its own display resolution to fit the external display. Sometimes, things don’t go so smoothly. Not all resolutions translate well to others, and this will cause scaling issues that make some things look elongated or too tall. 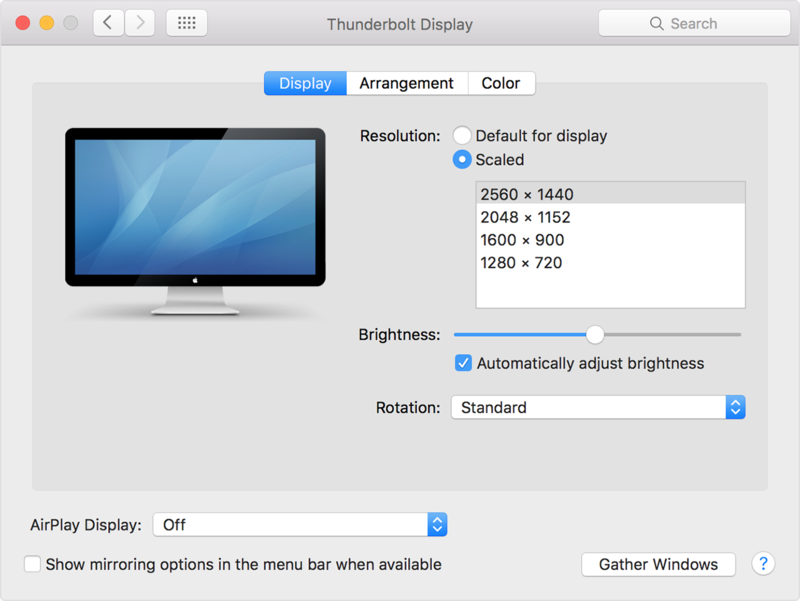 Adjust your resolution manually: It is possible for you to manually adjust your display resolution, and it can be done from the System Preferences on your Mac. From your Menu Bar, go to  > System Preferences > Displays and play around with the resolution settings until something looks comfortable for your eyes. Choose the default resolution: If you’re using a scaled resolution already, this may actually be the reason your picture looks weird to begin with. Try setting your display to use the default resolution for the display from the same preferences pane discussed above. Reset your NVRAM and SMC: Apple also suggests resetting your NVRAM and SMC if you experience resolution issues with your external display. Resolution settings are just one of the types of information that are stored in your NVRAM, so resetting your NVRAM may help set things how they should be. Your Mac’s SMC handles display management and display ports on your Mac, and resetting your SMC may solve resolution issues. Change resolution settings in Safe Mode: Sometimes you may find yourself unable to change external display settings on a regular boot-up. If this ever happens to you, Apple suggests booting into Safe Mode on your Mac to see if the settings can be reset to default. Check for software updates for your apps: Sometimes specific apps may look blurry. If you’re using a Mac with a Retina display, you need to make sure you have the latest software installed. If just one app looks blurry, check the Mac App Store or developer’s website for any new versions of the app that might be Retina display display-compatible. Check for new drivers for your display: If every app on your display looks blurry, the display itself may need a driver update; check the Mac App Store’s Updates tab, or the manufacturer’s website for the latest driver software. Sometimes, an updated version of macOS may include drivers pre-installed, so always make sure macOS is up to date too. Play with the display’s color profile: By visiting  > System Preferences > Display in your Mac’s Menu Bar, you can visit the Colors section and choose a color profile that looks the best to you. Sometimes, different external displays will look better with different non-factory color profiles. Play around a bit with these settings until you see something you like. 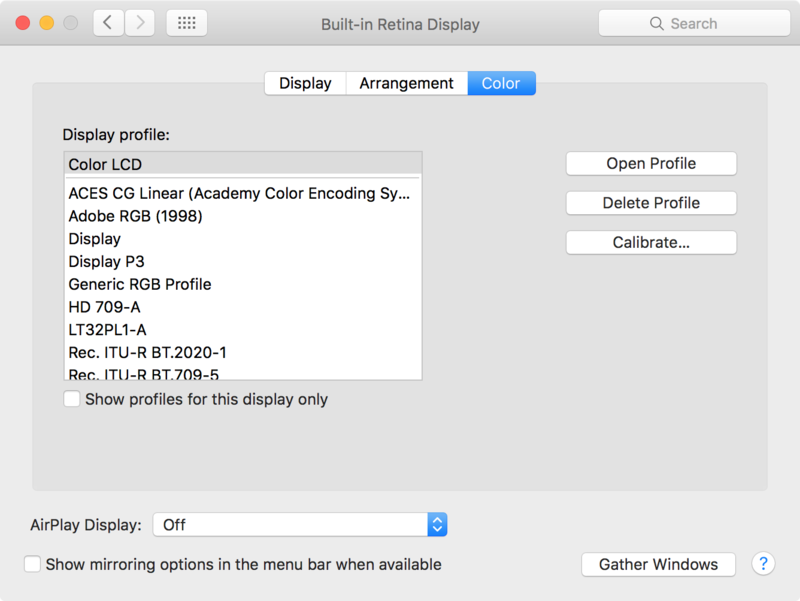 Calibrate your display’s color: If none of the presets in the list look good to you, try clicking on the Calibrate button from the Color tab in the Display settings of your external display. This will allow you to calibrate your display’s color and give it your own custom color settings. Find the contrast button: Lots of third-party external displays not made by Apple have custom contrast buttons on them. You can typically press them on the monitor itself to adjust the contrast and make colors easier to distinguish between. Find the color button: Like contrast buttons, some third-party external displays not made by Apple also have RGB buttons, which let you manually configure the Red, Green, and Blue levels for the display. If the display looks too orange for you, then give it some more green and blue. If it looks too blue for you, give it some more orange and green. Adjust your brightness: The brighter your display is, the richer the colors are going to be because more light means more visibility. Your eyes use light to distinguish color. Try adjusting your display’s brightness either with the Control + F2 keyboard shortcut, or try finding a brightness button on the monitor itself. Change display modes: Apple notes that some third-party displays have both a “monitor mode” and “television mode.” Monitor mode is going to offer the richest colors for a computer experience, and if you’re using your external display as a monitor, well, you should probably set it to monitor mode. Not all displays have this feature, but you should consult your display’s manufacturer or instructions booklet to find out more. Do you have dead, bright, or weird pixels? Apple refers to dead or bright pixels in a display as pixel anomalys. This can happen when individual pixels in your display malfunction and continue to emit colors incorrectly, or don’t emit colors at all. It can also happen when a display gets foreign material trapped between the glass and pixel. If the display was made by Apple, Apple will be able to fix it at an Apple Retail Store or Apple Authorized Service Provider; if it’s a third-party display, you’ll have to contact the manufacturer. These are some of the most common issues that can occur with using an external display on your Mac. 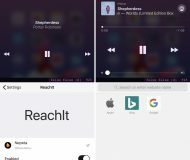 Hopefully after trying the steps listed here, you’re able to use your external display as you once thought you’d be able to. If you found this tutorial helpful, we’d greatly appreciate you taking the time to explain what was wrong in the comments!